A 14-year-old boy and four friends led Philadelphia Police on a wild car chase Friday night – a chase that ended with a serious car crash. 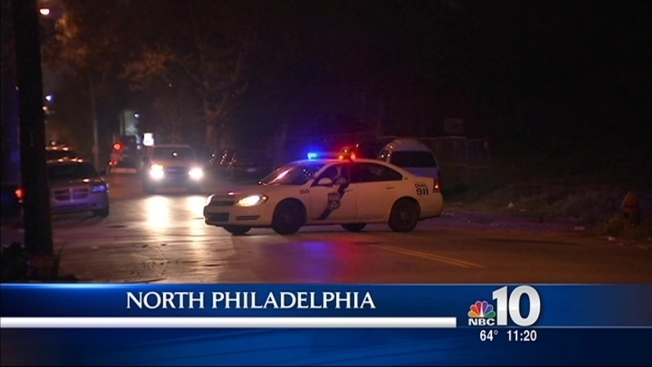 The chase began just before 9 p.m. at 11th and Glenwood Streets in North Philadelphia when a highway patrol officer attempted to stop the red car, police said. The teen driver took off speeding down several blocks of Glenwood Street before losing control of the red sedan at Allegheny Avenue. The sedan flipped over at the intersection – ejecting one teenage boy and seriously injuring four others left inside the car, police said. All five teens were rushed to St. Christopher’s Hospital for Children in nearby Hunting Park. The teen thrown from the car is listed in critical condition while the other four are stable, police said. HEARTBREAKING: Mauled Boy's Great Grandmother Says "I Can Just Hear Him Calling"
Police say they also recovered a gun inside the sedan. Philadelphia Police’s Accident Investigation Division is investigating the incident.